Read more about Flying Bike – Transformer Robot on our blog! The City is in Danger! Time to Transform! The cries of the citizens of your city can be heard for miles, calling you into action. 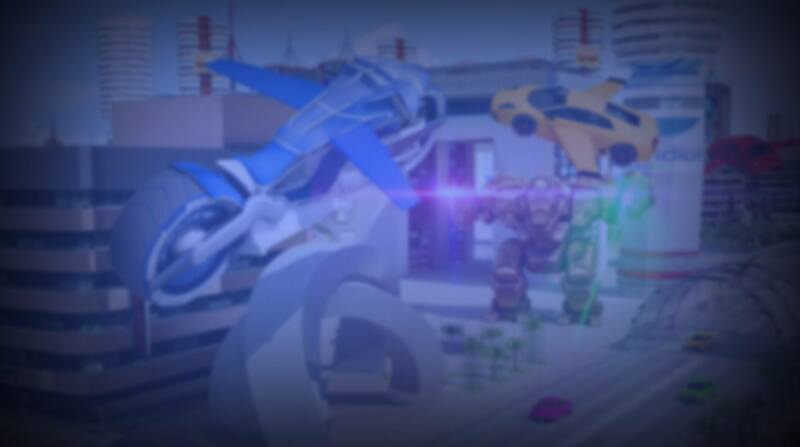 Play Flying Bike Transformer Robot on PC and Mac to be the hero of your city as a transformer. Zip through the city at high speeds on your sweet ride as you scout for trouble. When you find bad guys, it's time to transform into robot mode for hard-hitting action. Wait! What's that in the sky? More enemies? No need to worry. 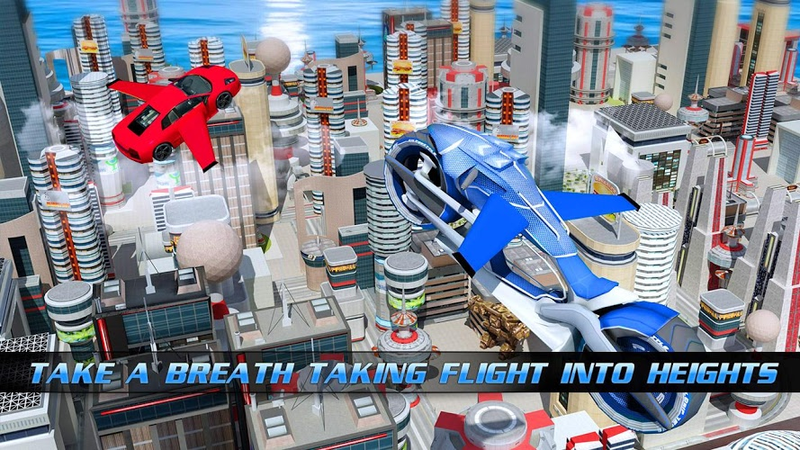 As the hero of Flying Bike Transformer Robot, you can take to the skies by transforming into an amazing flying bike. 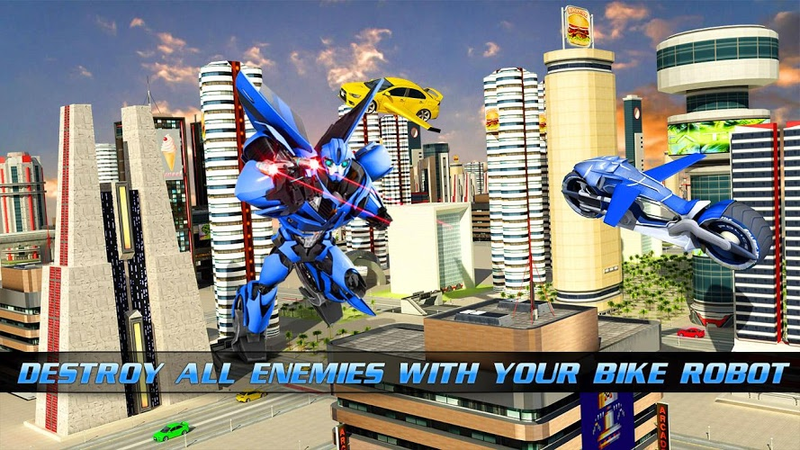 Fire missiles and shoot down enemies to protect the city. They're coming by land and air, the city needs a hero like you now. 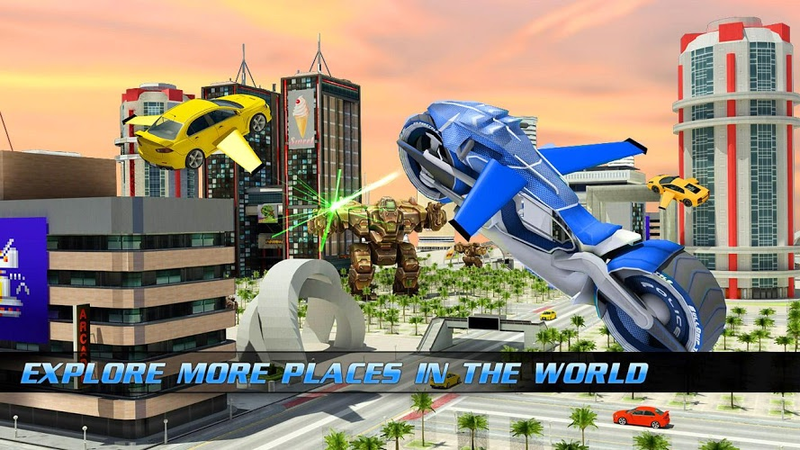 Why play Flying Bike – Transformer Robot on Bluestacks? 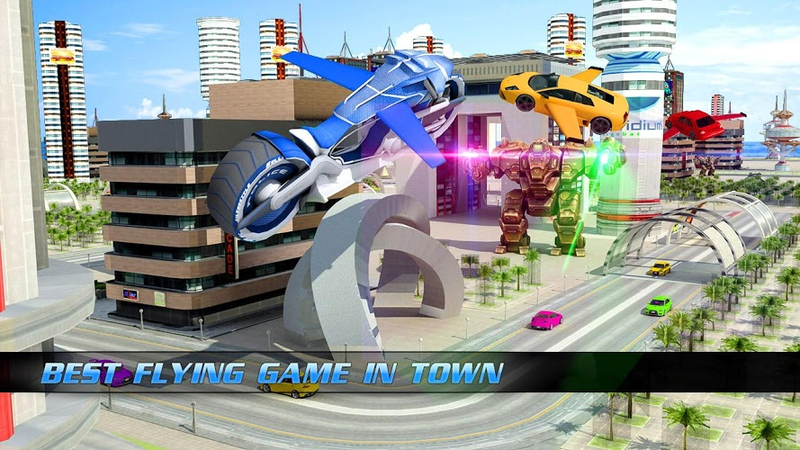 Play Flying Bike – Transformer Robot. Redeem your BlueStacks Points. Get rewards! 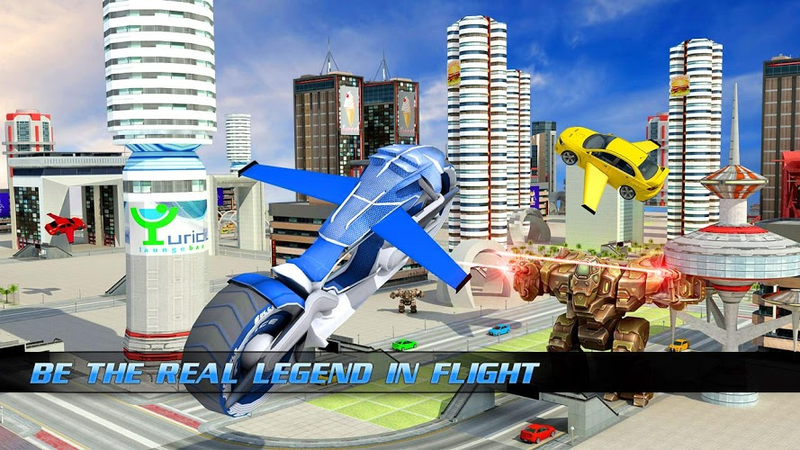 BlueStacks is undoubtedly the most sought after way of playing Flying Bike – Transformer Robot. Experience awesomeness once and never go back. Flying Bike – Transformer Robot ships with an Out of the Box (OTB) default Keymapping based on years of gamer feedback. 6 You're all done! Enjoy playing Flying Bike – Transformer Robot on your PC. The new and improved version of our BlueStacks player is now better and more easy to use than ever before. The BlueStacks app for PC and Mac systems allows you to play any Android game or app on your computer without the need for pesky wires and cables. Unlike other Android emulators, the free BlueStacks player installs apps directly onto your hard drive so you can get your game on more quickly. By eliminating the need for a bunch of apps and games on your phones or tablet, you can enjoy a faster running device and more space to explore a variety of other features and apps. Change the Game with the new and improved BlueStacks player.